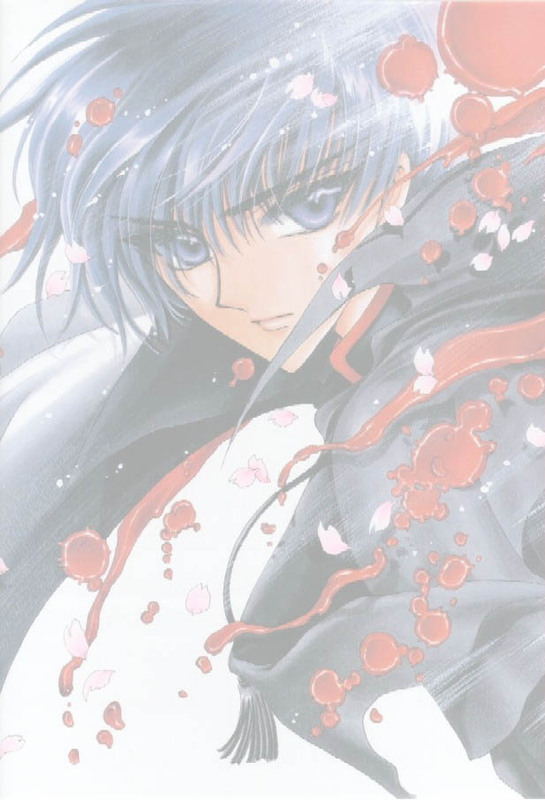 Appearance: Midori has black hair in a somewhat unkempt page-boy cut and jade green eyes, she has a strong, slim build and tends to dress in plain, unfeminine clothes. Personality: She is a tenacious and inquisitive person, very observant and quick on the uptake. She is to-the-point unless it behoves her to be tactful, and does not back down when she's in the right. Something of a perfectionist, and not trusting at all. She tends to believe people will always revert to violence and crime if the situation calls for it. 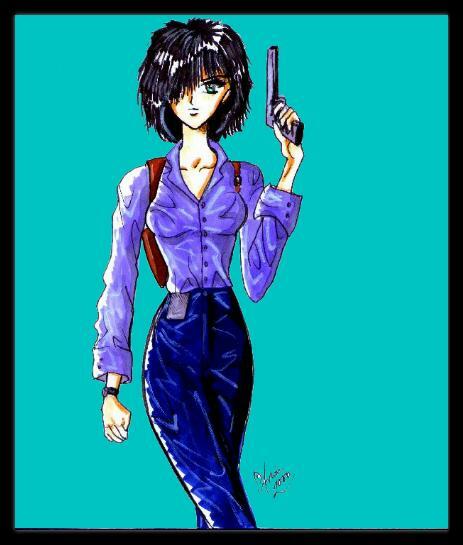 History: Midori is the youngest detective in her precinct, and one of only two women to hold the rank. Therefore, as one might imagine, she is aggressive and works doubly-hard, wanting to secure her place in the department and to show she is just as good as the guys. Beyond her career, however, Midori harbors a dark secret. She is the daughter of a long line of Dark Omnyoujis who have long employed their magic as assassins for influential politicians. Midori has been trained in spiritualist's arts since she was a small child, and she is a very competent sorceress. Her chosen familiar is a three-tailed kitsugami. She has performed three assassinations for her clan so far, and was amused to be the investigator for one of them herself. Midori does not consider her clan's work to be evil. She thinks it is their duty to punish the corrupt. And she thinks the earth is hopelessly overrun with corruption. Family: Her parents were killed in a terrorist bombing. Has a sister living in Kyoto. Extended family also resides in Kyoto. Interests: Reading, Tennis, Swims, sharp-shooting, motorcycling, has studied and is very skilled at several forms of martial arts.